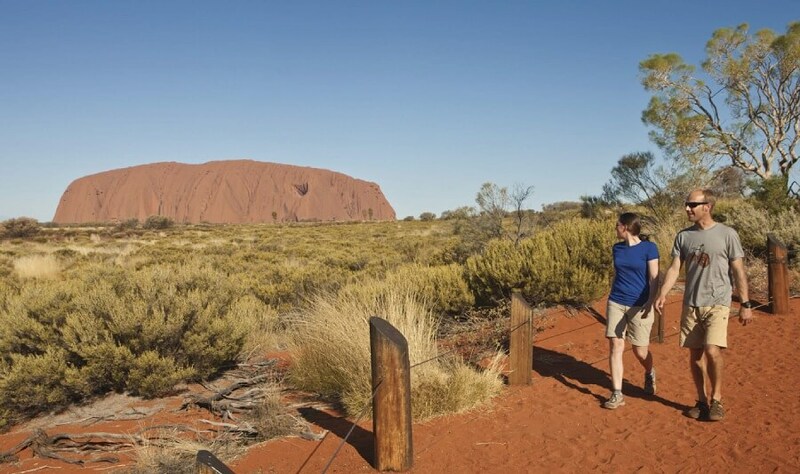 Join us as we travel to the impressive Kata Tjuta National Park located in Uluru. 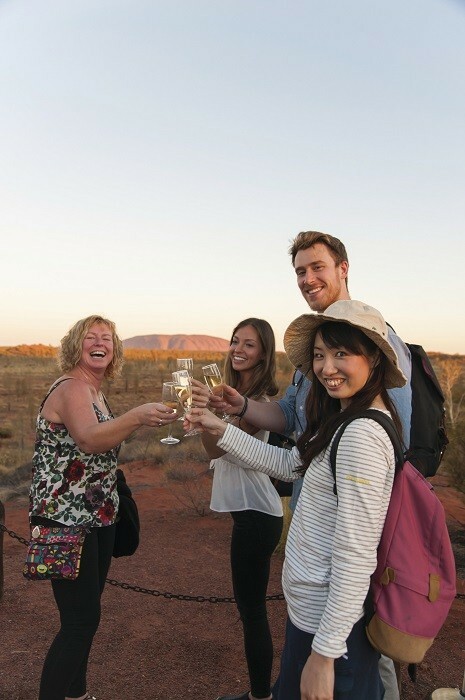 Your driver/guide will outline the evening's activities, whilst you enjoy the stunning views of Uluru in the distance. 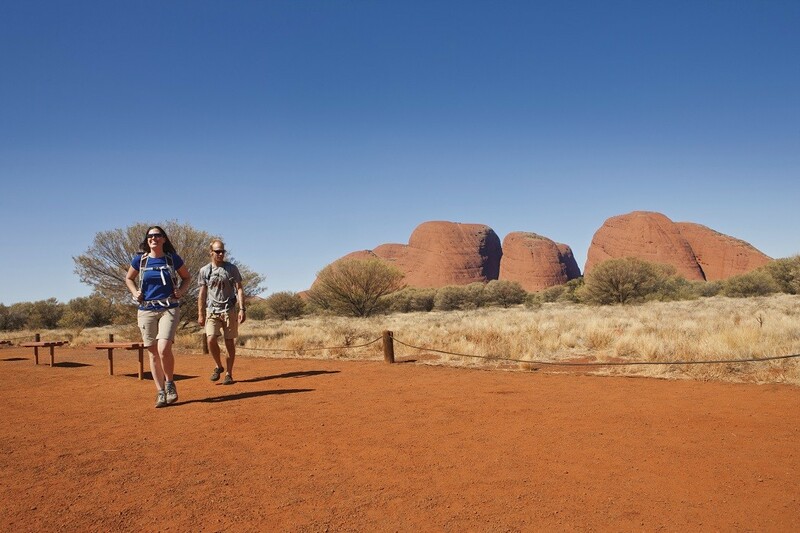 As the bus travels towards the spectacular Uluru, you can take in the scenery of Kata Tjuta, also referred to as the Olgas. The area consists of towering dome rock formations, the tallest reaching 546 metres in height. Erosion of the area began over 500 million years ago. The Indigenous people of Australia have populated the area for more than 22 000 years. To offer an even greater sunset spectacle, we offer all our guests sparkling wine and nibbles to enjoy whilst observing the sunset. Explore the sunset viewing area and find your own personal space to witness the sunset, or relax in the main viewing area and enjoy the serenity. 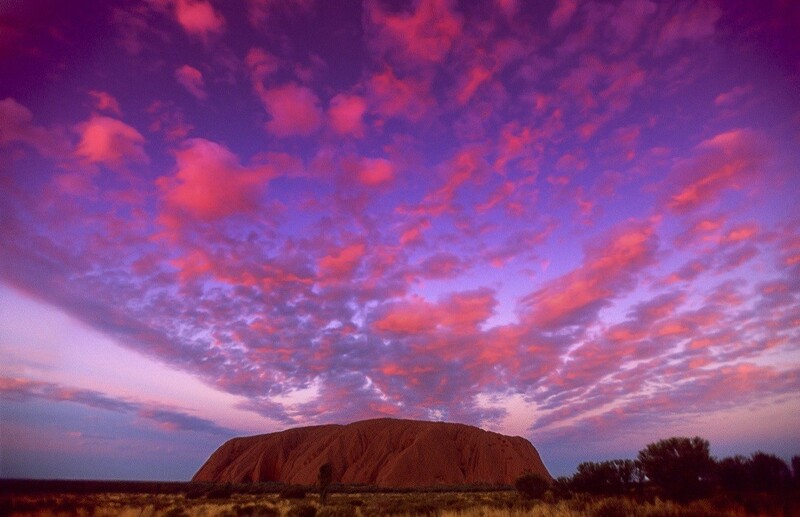 Uluru (Ayres Rock) is one of Australia’s most spectacular landmarks. The rock is stunning and is approximately 350m in height. Incredibly, the rock extends even further beneath the surface. The rock is extremely sacred in Australian, in particular to the Indigenous population, and is often described as a place of spirituality. The sun setting over the western horizon has got to be one of the most stunning sunsets you will ever experience. Many shades of colour will appear across the rock, and your tour guide will take a photo of your group in front of the rock. 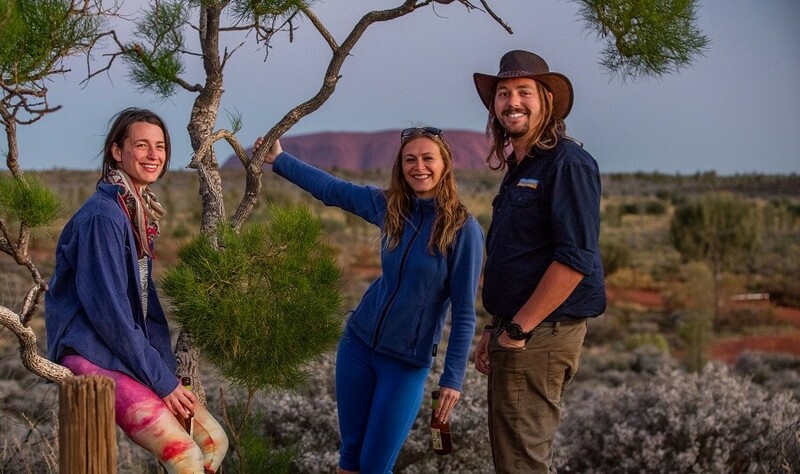 The Uluru Sunset tour is a great way to relax and enjoy some of the most spectacular views which Ayres Rock has on offer.